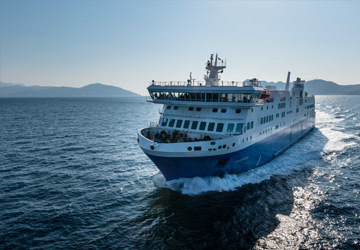 The Kristiansand Hirtshals ferry route connects Norway with Denmark and is currently operated by 2 ferry companies. 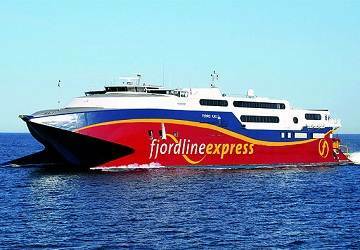 The Fjord Line service runs up to 3 times per day with a sailing duration of around 2 hours 15 minutes while the Color Line service runs up to 14 times per week with a duration from 3 hr 15 min. 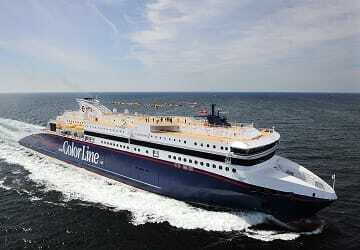 So that’s a combined 35 sailings on offer per week on the Kristiansand Hirtshals route between Norway and Denmark. Compare now and get the best fare at the time that you want to travel. Prices shown represent the average one way price paid by our customers. The most common booking on the Kristiansand Hirtshals route is a car and 2 passengers. Our trip from Norway to Denmark on the Fjord line car ferry was fantastic!! They are so organized & together that it went off without a single incident. The workers handle the lines of cars, parking, entering/exiting extremely well & were so friendly. The trip was smooth & enjoyable. Food/drink was great. Can't say enough good about this company. We will certainly use them again. Excellent, easy booking system and comfortable trip. We travelled on August 6th 2015 from Kristiansand to Hirthals. Everything went pretty well. The only bad experience was that the food was not warm enough. We found the crossing to be quick, well organised and everthing was neat! Friendly staff!! Certainly worth a 7+. The Norwegian city of Kristiansand is located in Vest-Agder county and is Norway's fifth largest city. The city was founded in 1641 by King Christian IV from who the city takes its name. The 'sand' component of the name refers to the sandy headland the city was built on. Many tourists visit the city, especially during the summer months, and of particular importance is Kristiansand Zoo and Amusement Park which is just to the east of the city. With just under 1 million visitors in 2012, the zoo is actually Norway's second most visited attraction, after Holmenkollen. Most of the zoo's animals are shown in their natural habitats. Animals on display include wolves, lions, tigers and lynx. Although the amusement park is open during the summer, the zoo is open all year round. The city's port provides ferry connections to destinations in Sweden, Denmark and the UK. 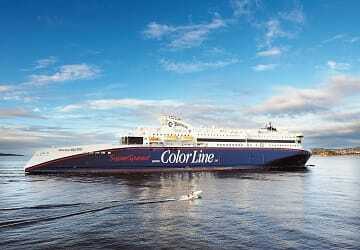 The two main routes that operate out of Kristiansand are to Gothenburg in Sweden, which begins and ends in Newcastle in the UK, and to Hirtshals in Denmark. 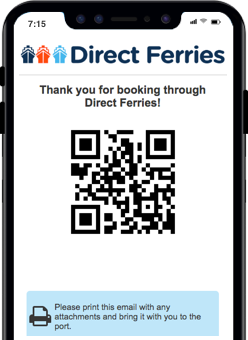 The ferry terminal has good passenger facilities which include public telephones, toilets, a convenience store and good access for disabled passengers.